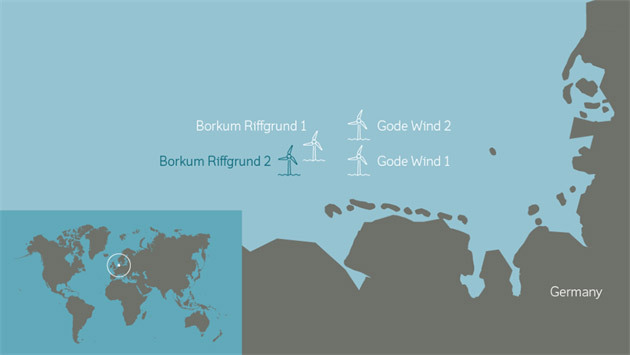 DONG Energy has received approval of an amended building consent related to the Borkum Riffgrund 2 Offshore Wind Farm. The original consent was granted in December 2011. The amended consent was necessary in order to deploy 8MW turbines in the offshore wind farm. The approval has been granted by the German consenting authority “Bundesamt für Seeschifffahrt und Hydrographie” (BSH). DONG Energy has hereby received all necessary permits, and the building of the offshore wind farm, which saw its final investment decision taken in June 2016, can continue as planned.